I put you in front of an open bank vault and tell you that you are free to take any amount you want; it is guaranteed that no one will ever know and that you will never get caught. The question now is not whether you'll be punished; the question is merely whether you can overcome any moral compunction which would prevent you from taking the money. Yes, you could choose to not take the money but this would in no way benefit anybody or hurt anybody. The only aspect of this is that the money isn't yours. You would be taking money that wouldn't belong to you. I'm not sure if this story is an urban legend. I've been unable to verify it as of yet but I'm going to repeat it from memory anyway. On June 26 and 27, 2010, Canada hosted the G-20 Summit in Toronto, Canada. I lived downtown at the time and was witness to the riots. I watched people smash windows, loot stores and even set several police cars on fire. I saw hundreds of Black Bloc storm through the streets creating hundreds of thousands of dollars of damages. I followed like the rest of the world the riots in England which started on August 6, 2011 and continued for over a week. I watched video news reports showing buildings set on fire, businesses ransacked, vandalism and general chaos in what is supposed to be a civilised country. The anarchy which took place made me think of a Mad Max movie where the end of the world sees civilisation degenerate into an every man for himself mentality espousing a might is right credo. What would you do if you had total freedom to do anything? Would you do something good? Or would you do something bad? What exactly is inside any of us that motivates our actions? Yes, ninety-nine percent of the time ninety-nine percent of the people go about their daily business as your normal everyday upstanding citizen but what if we gave any one of them total freedom to do anything they wanted? Just what would they do? The G-20 in Toronto and the riots in England represent occasions where people within the context of a group can be pretty much anonymous and therefore have that total freedom to do anything they want. There is no concern about punishment, no worry about getting caught. Want to throw a brick through a plate-glass window? Go ahead. Nobody is going to stop you; nobody is going to penalize you and who knows? Some may even cheer you on. But why? Have you had a life-long curiosity about the sound of a plate-glass window breaking under the force of a hurled brick? You've always had a bit of rebel anti-authority delinquent streak in you and this is your opportunity to let that slightly psychotic fanciful side of you take flight? Are you secretly some sort of degenerate that has only been kept in check all these years by the overwhelming fear of seeing yourself in handcuffs perp walked to a police cruiser? When I was a teenager, the bored kid who didn't know what to do with himself, I committed a few small acts of vandalism. I am not proud of what I did but I've never forgotten it and I've certainly wondered over the years what motivated me to do such idiotic, mindless acts. Once in my early teens, a friend and I were wandering around our neighbourhood in the evening when it was already dark. We had skirted around a few of the neighbours' houses exploring. About a block from home, we found a house that had a milk door. This was one of those old time small cupboards in the side of a home where the milkman could open a small outer door to a little area like a cupboard into which he would place milk bottles. On the inside of the house was another door which allowed Mom to retrieve the bottles of milk. Our brilliant idea was to open the milk door and stick in the garden hose so the end of it went through into the kitchen of the house. We turned on the water then ran away. Screamingly funny, right? A couple of days later during a family dinner, my father told the story of what had happened at the neighbour's house, how the couple discovered the running hose, hurried to shut off the water then painstakingly mopped up the mess. I managed to keep my smirk to myself and my parents never did find out I was one of the culprits. As I write this, nearly fifty years later, I am ashamed of what I did. It was stupid, childish but more importantly, it was a useless act of vandalism that accomplished nothing and was certainly not funny. Why did I do it? Why did we do it? I have mulled over every aspect of this story over the years including my own recollections as a participant in the event as I have watched others do similar things and worse. In my lifetime, I have lost my wallet twice under two completely different set of circumstances. The first time, when I was a kid, I was at a vacation resort with my parents. My wallet fell out of my pocket on the resort property and it had fifty bucks in it; my hard earned cash from a summer job. Oh my gawd, what was I to do? However, only a few hours later, my wallet turned up at the front desk intact. Yes, all of my cash was in the wallet untouched. The second time, I was in my twenties and I misplaced my wallet. I left it somewhere? It fell out of my pocket? This time, the loss wasn't just money. My wallet had all of my identification including my driver's licence. Oh man, getting another licence would be a pain. However about a week later, an envelope with no return address showed up in my mail box and there was my wallet but with no cash. Okay, it was a loss of a hundred bucks but I realised that I didn't have to go through the rigmarole of getting copies of my identification including a new driver's licence. I realised that being spared that hassle was well worth the hundred bucks the finder had taken from my wallet. The above are two completely different situations where I lost my wallet. In the first case, it's a vacation resort. I can assume that those people at the resort are pretty much the same: the same social class, the same income bracket, etc. We're all there having a good time. Is there a greater tendency to be generous, altruistic, etc. because we're all in the same boat? We're all in this together; let's be nice to one other. In the second case, we're back to day to day living maybe a bit more of every man for himself. However, quite remarkably the finder did not take the money and chuck my wallet in the nearest garbage pail. No, the person went to the trouble to mail my wallet back to me. Now they remained anonymous (no return address on the envelope) as they did take my hundred bucks but they were kind enough to send the wallet back. I watched a video from England that showed a couple of guys going through the broken front display window of a store then trying to get a flat-screen TV off a wall. Did these looters need the TV? Were they thinking of selling it? It struck me that they felt they could do this without fear of the law so without the law, it was now a question of their own moral compass. As with my opening bank scenario, not taking the TV didn't get them anything, so why not take the TV? In fact, if they didn't, somebody else probably would. Being noble, being good or being an upstanding citizen was the equivalent of being a putz. A few years, I accidentally got something in my computer and had a dickens of a time removing it. I had to read various technical documents on the virus, try out several removal methods but fortunately, in the end, I did successfully get rid of the persistent little bugger. While I can tip my hat to the technological genius who managed to exploit the holes in the operating system, I wonder if the anonymity of the author and how he is divorced from the results of his mischief means that he does not fully grasp the extent of his actions. I gleefully put the garden hose into the kitchen of the neighbour's house and turned on the water. Did I understand that somebody was going to have to mop up a mess? Why did I somehow find the idea of somebody discovering their kitchen floor being flooded was even remotely funny? Did the author of the virus understand the pain and anguish he was causing anybody who ended up infected? Did he somehow feel the stupidity of the user justified taking advantage of them? I think back on my acts of vandalism and realise I had no appreciation for the results of my actions. I did not think of the person on the receiving end of my wanton acts of anti-social behaviour. By being anonymous, by having total freedom to do anything, I choose not good but evil. With age comes wisdom? Having now owned a TV, I can appreciate what it means to possibly have it stolen. Having now owned property, I understand what it is to worry about seeing it vandalised. Having now had my own kitchen and the occasional plumbing problem, I better relate to those who had to mop up the garden hose mess. As I watched the rioting firsthand during the G-20 in Toronto, Canada or when I watched the rioting in England, I could see this idea of disconnect from one's surrounding. I damage a street because it's not my street. I trash a neighbourhood because it's not my neighbourhood. I set the city on fire because it's not my city. There seems to be an inability of extending the idea of ownership, of belonging to anything beyond one's own home or one's own room. Everything else is up for grabs. It is a chilling reminder that what we know as civilisation may be nothing more than a thin veneer. Below it is a raging animalistic every man for himself might is right primitive anarchy that could quickly engulf any community and turn it into a Mad Max movie set. I've never forgotten when a philosophy professor at university made the statement - I'm paraphrasing - that the human race has seen great technological advances but morally and spiritually hasn't advanced one iota in two thousand years. That reminds me. 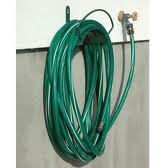 I'm going to go outside and unscrew the garden hose from the tap and store the hose in the shed. The shed is locked by the way. When it comes to delinquency, it takes one to know one. Vandalism is the behaviour attributed originally to the Vandals, by the Romans, in respect of culture: ruthless destruction or spoiling of anything beautiful or venerable. The term also includes criminal damage such as graffiti and defacement directed towards any property without permission of the owner. The 2010 G-20 Toronto summit was the fourth meeting of the G-20 heads of government, in discussion of the global financial system and the world economy, which took place at the Metro Toronto Convention Centre in Toronto, Ontario, Canada, during June 26–27, 2010. Riots broke out in London, England, following a peaceful protest, by about 200 people, over the fatal shooting of Mark Duggan by officers of the Metropolitan Police Service on 4 August 2011 in Tottenham. The ensuing looting, arson, burglary, robbery and disorder spread to other parts of England, mostly centred on several major cities. On 6 August 2011, about 200 people, including Duggan's relatives and local residents, marched in Tottenham. After receiving only limited information concerning Duggan's death, several in the crowd became violent and rioting broke out. In the following days, disturbances occurred in other areas of the city, including Wood Green, Enfield Town, Ponders End, Walthamstow, Islington and Brixton. Vandalism, arson, looting and violent disorder also were reported in several boroughs of London, extending as far south as Croydon. At least 186 police officers were injured. On 8 August, rioting and looting occurred in Birmingham, Liverpool, Nottingham, Bristol and Medway. More than 1,100 people have been arrested since the start of the disruption. A total of five civilians have been killed: a man was shot on 8 August, three men were run over by a car driven by another man on 10 August, and an elderly man beaten in Ealing on 8 August succumbed to his injuries on 11 August.